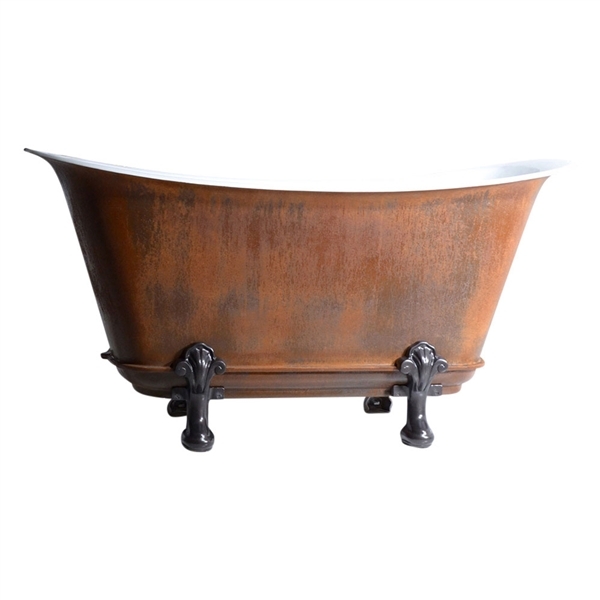 The Honcourt is a simply sensational French Bateau Chariot bathtub. 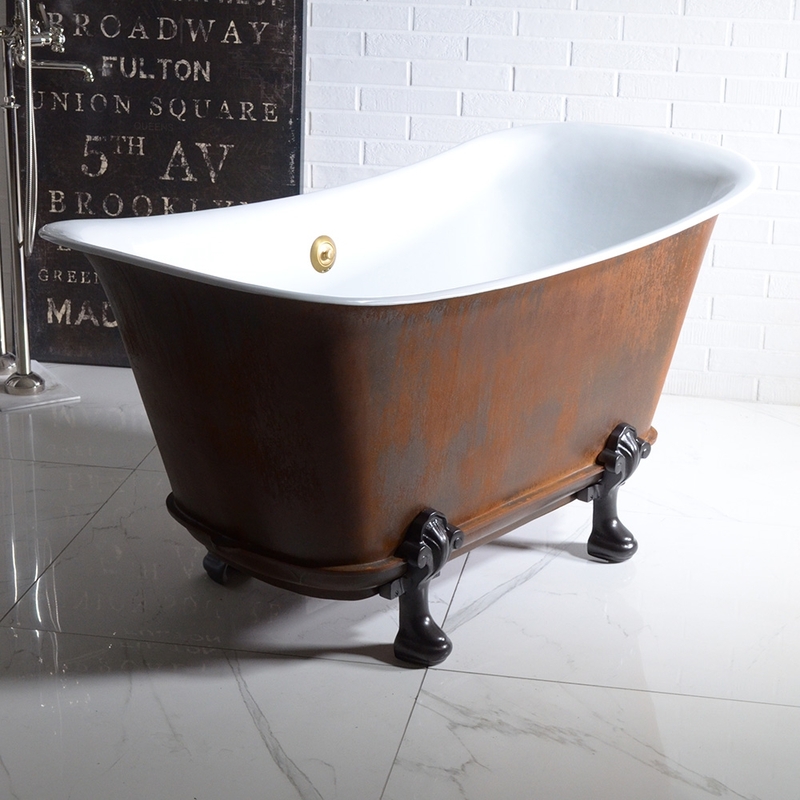 Our inspiration to manufacture this gorgeous bathtub came from an original Chariot tub produced by Rogeat in Lyon, France around 1850. The rust exterior came from an original Rogeat tub we saw that had been lying around, unwanted for quite obviously many years, yet still looking beautiful. We loved it so much, we did our very best to emulate it. When we designed this new version of the Chariot tubs, we made it a little wider than the original version made in France. Also, due to the unique shape at the top lip, we felt it would be prudent to use German A+ enamel on the interior of the tub. We also made the ends slope a little more than the original as we felt that today's bathers would prefer a little more recline at the back for additional comfort. Apart from these updates, it is very similar to the original Rogeat tub. 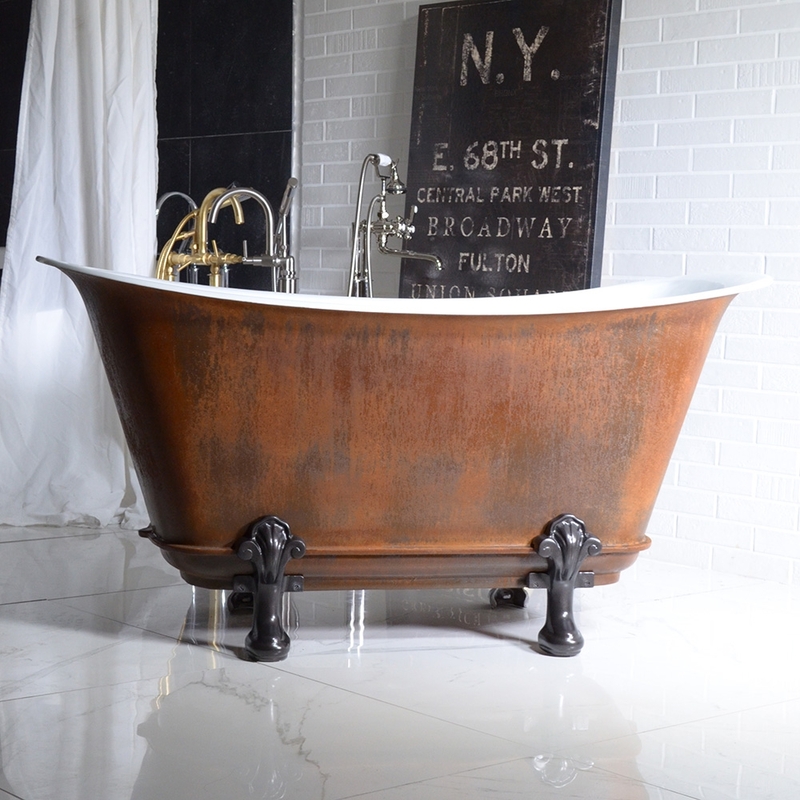 This is a truly stunning deep bathtub that will be the absolute centerpiece of any fabulous spa retreat bathroom. When sitting up in the tub, the slope at the neck area is very pleasant to rest one's head. 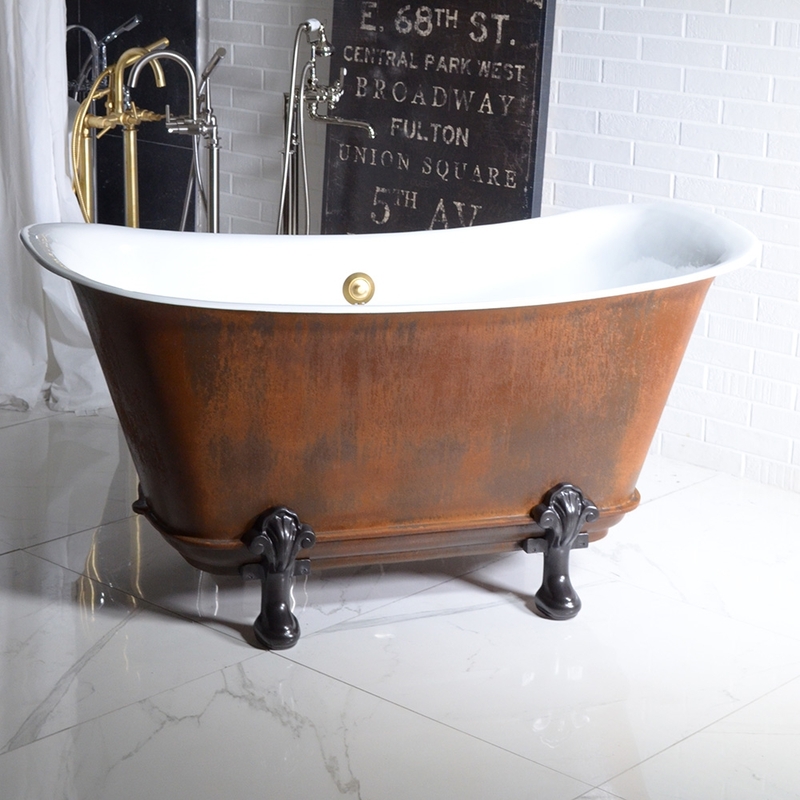 We use special coatings on the tub exterior to produce an actual rust finish before sealing it with a few misty layers of high grade clear coat. This seals the rust in and prevents any further corrosion and makes for easy cleaning. when you touch the surface, nothing will come off.